Public health researcher Dr Amy Waller works with local clinicians and patients to strategies to improve end of life care for people right around the globe. 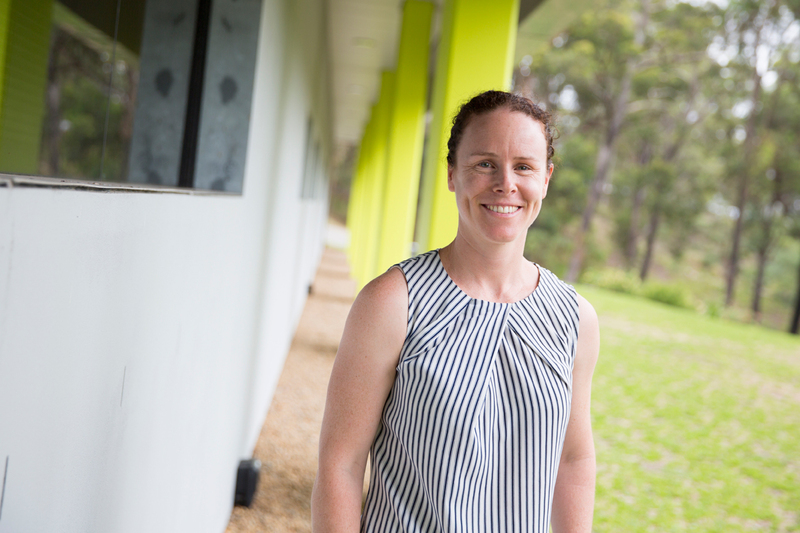 Following her Bachelors degree in Psychology, Amy began working with the team at UON’s Centre for Health Research and Psycho-oncology (CHeRP, the Behavioural Research Unit of the Cancer Council NSW), with a focus on improving end-of-life care for people with cancer. “Palliative Care Australia had released standards and guidelines suggesting they needed to improve the way people diagnosed with cancer were accessing palliative care. The team wanted to find a way to integrate assessment of all aspects of patients’ quality of life into routine care. Amy had been working on the project for a year when she was offered the opportunity to integrate her work into a Behavioural Science PhD. “I progressed with that program to the end point, where we actually implemented the resources and evaluated their effectiveness in oncology and palliative care services in the Hunter and Sydney region. “From there the resources were disseminated across Australia. In 2010, Amy was awarded an international Post-Doctoral Fellowship with the University of Calgary, where she worked for two years on the Screening for Distress project, another national program designed to optimise care and services for people with cancer. Upon her return to Newcastle, Amy joined the University’s Priority Research Centre for Health Behaviour, where she worked alongside Laureate Professor Rob Sanson-Fisher in the continuation of her work in improvements of care for people with cancer facing the end of their life. Amy’s areas of interest diversified, as she began investigating these issues in older people, particularly those with progressive chronic diseases. “There's sometimes hesitancy in talking about death and you do have some people who get uncomfortable and prefer not to talk about it. “The vast majority of people tell us that they want their family involved in the decisions around their end of life care, which is great - if the family knows what the patient wants. “The problem is people aren't always having these discussions. Research has demonstrated that starting these discussions in a timely manner – rather than delaying them – leads to a less stressful and better informed experience. One key way to facilitate and encourage this ‘acceptance phase’ is to educate clinicians about best practice. “We talk to doctors and nurses who have been treating patients for 30 years and they still say it’s the hardest conversation they'll ever have. “So we’re looking at how we can best educate and implement ways to help health care professionals to have these conversations with patients and families. Another means for intervention is via community aged care services. “A number of older people in the community are already clients of these services. “We’re working with providers to develop a program where they can go in and talk to their clients about these matters. “Those discussions would happen in an ongoing manner, so plans get revisited every 6-12 months - sometimes people’s wants and needs change with time. 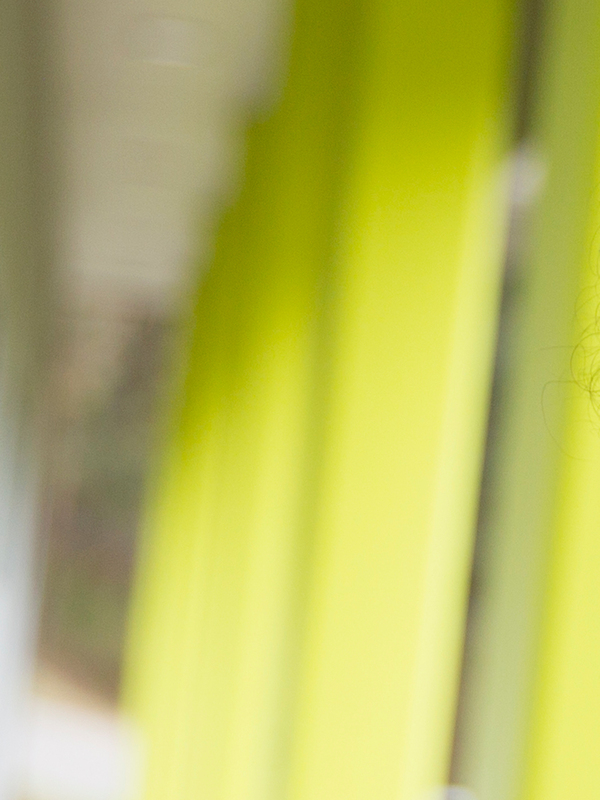 In 2015, Amy’s research attracted the prestigious Australian Research Council Discovery Early Career Research Award, enabling her to focus on the end of life care given to older people in the hospital environment. “Around 52 per cent of Australians will die in hospital. Amy and her team are visiting patients in hospital to conduct interviews around their awareness of care plans and whether they have engaged in end of life discussions with their families or clinicians. They’ll then use the data to develop new end of life care strategies. “We’re just planting the seed and giving people the opportunity to have those discussions if they want to. Dr Amy Waller is a Research Fellow and Investigator in the Priority Research Centre for Health Behaviour (PRCHB) at the University of Newcastle. She completed her PhD in Behavioural Science in Medicine in 2010. She was employed as a Post-Doctoral Research Fellow with the University of Calgary/Tom Baker Cancer Centre in Calgary, Canada between 2010 and 2012. She began working with the PRCHB in 2012. Her research focuses on behavioural aspects of health with special interests in end of life issues, oncology, dementia and health services research. Dr Waller has contributed to a range of research projects tackling clinically relevant issues in end of life care and chronic disease. The most notable of these are: (1) the development and testing of practice guidelines and rigorous measures to assess palliative care needs of people with advanced progressive diseases and their families; (2) large-scale studies describing the natural history of distress and the efficacy of screening programs in newly diagnosed cancer patients; and (3) developing a framework for establishing research priorities and applying this to evidence-practice gaps in cancer control. Dr Waller currently leads a program of work examining the quality of end of life care delivered to older, chronically and terminally ill populations across community and health care settings. She is also involved in the Australian Community Of practice in Research in Dementia (ACcORD), contributing to studies examining the perceived barriers and enablers to the delivery of optimal dementia care and capacity assessment from the perspective of general practitioners, nurses and geriatricians. Dr Waller is part of teams testing the effectiveness of self-management programs for people with dementia and stroke and their informal caregivers. Dr Waller has published 60 peer-reviewed articles, 3 peer-reviewed book chapters and 4 commissioned reports. These papers have been published in high ranking journals for the field such as Journal of Clinical Oncology, Journal National Comprehensive Cancer Network and British Journal of Cancer. She has presented her research over 30 times at national and international conferences. Dr Waller has attracted over $3.5 million in competitive scholarship and research funding including an NHMRC-Project Grant (CIB, 2017), NHMRC Partnership Grant (CIB, 2016); NHMRC project grant (CIF, 2015); and an ARC DECRA (2015). She has also been a CI on numerous competitive internal grants. Dr Waller is currently co-supervising five doctoral candidates. 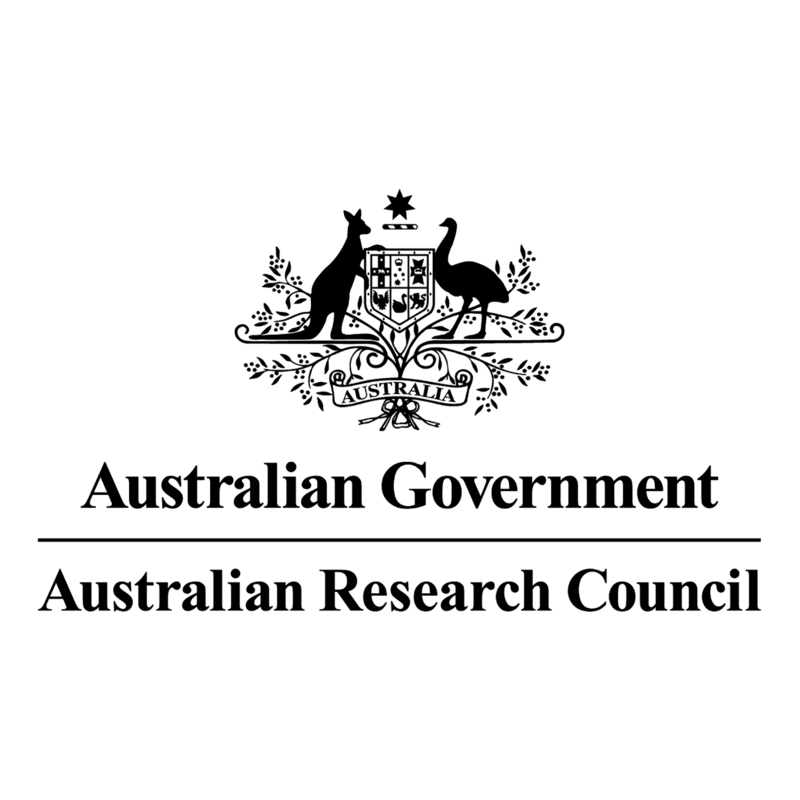 Current research collaborations include organisations such as The Cancer Council NSW, The Stroke Foundation, Hunter Stroke Service and Australian Community Of practice in Research in Dementia. Dr Waller is collaborating on studies examining: medico-legal aspects of end of life care and advance care planning with Profs Ben White and Lindy Wilmott (QUT), Prof Kichu Nair, A/Prof Michael Boyle and Drs Carolyn Hullick and Irosh Fernando (HNELHD); nurses views of end of life care quality with Profs Sally Chan (UoN), Profs Carmen Chan and Meryk Chow (Hong Kong) and Profs Kim and Sook Kang (South Korea); efficacy of a web-based program for dementia populations with Profs Xavier Girones and Ulisses Cortes (Spain); and psychosocial cancer care with Profs Barry Bultz and Linda Carlson (Canada). © 2019, Springer-Verlag GmbH Germany, part of Springer Nature. Purpose: Patients are a critical source of information about the quality of the components of cancer care that contributes to optimal psychosocial outcomes. Recently published research was examined to determine the: (1) proportion of studies that examined at least one of 14 components of cancer care, (2) the proportion of studies that included multiple components of care, and (3) the phase of the cancer care pathway in which data collection occurred (i.e. pre-, during and post-treatment). Methods: MEDLINE was searched to retrieve all data-based publications indexed for two international psychosocial cancer care journals (Supportive Care in Cancer and Psycho-Oncology) over a 2-year period. A total of 333 publications yielded 214 eligible publications that were assessed against the 14 components of care for which measurement by healthcare providers at multiple phases during cancer care is recommended. Publications were coded based on the: (1) specific component/s of care focused upon in the research, (2) number of components examined and (3) timing of data collection. Results: The most frequently assessed component of care was physical and psychosocial screening (n¿= 198, 93%). Most studies (n¿= 187, 87%) examined a single component of care. No studies assessed all 14 components. Only seven studies (2.1%) examined components of care across multiple phases of the care pathway. Conclusions: Recently published studies have examined limited segments of patients¿ experiences of cancer care. To improve psychosocial outcomes among people living with and beyond cancer, there should be a greater focus on patients¿ experiences across multiple components and the whole care pathway. © 2018, Springer-Verlag GmbH Germany, part of Springer Nature. Purpose: Mesothelioma is an insidious disease with a generally poor prognosis even after invasive treatment. This qualitative study aimed to explore the experiences of patients suffering from mesothelioma and their carers and their perceptions of how their needs may be addressed. Methods: Eligible patients and carers were identified by a lung cancer care coordinator at each participating site, and invited to participate in one-on-one semi-structured telephone interviews (n = 5 patients, n = 3 carers), or in one of two focus groups (n = 3 patients, n = 3 carers). Discussions focusing on participants¿ experiences relating to physical, psychological, social, information and carer domains were audio-recorded, transcribed verbatim and thematically analysed. Results: The five major themes identified were (1) time of diagnosis is a particularly difficult period; (2) the timeliness, accuracy and balance of mesothelioma information is problematic; (3) coping strategies ranged from antagonism to acceptance; (4) the emotional and physical load of caring for the patient is significant and (5) carers need one-on-one support. Conclusion: Mesothelioma patients and their carers face significant challenges, particularly around the time of diagnosis and in the physical, psychological and social/practical domains. There is a clear need for additional information, delivered in a timely and psychologically sensitive manner, as well as for practical and emotional support. Quantitative research may shed greater light on the prevalence and severity of challenges and needs reported by participants, and determine the usefulness of resources such as case workers and dyadic coping interventions in addressing these. © 2019 John Wiley & Sons Ltd Objectives: To describe the (a) number and type of cancer care providers that radiation oncology outpatients report discussing life expectancy with, and (b) perceptions of the acceptability and utility of life expectancy information. Methods: A cross-sectional survey of patients receiving radiotherapy was undertaken in four treatment centres. Patients indicated whether they had discussed life expectancy with a cancer doctor (i.e., medical oncologists, radiation oncologists, surgeon, haematologists) and/or other cancer care provider (i.e., general practitioner, radiation therapist, nurse); and acceptability and utility of information. Results: Of 207 respondents, 133 (64%) had discussed life expectancy with at least one provider. General practitioners (GPs) were the most frequent source of information. Of those who had discussed life expectancy, half (n¿=¿110/207) perceived cancer would not impact life expectancy. Information was easy to understand (91%), discussed sensitively (90%), helped plan for future (83%) and gave them certainty (86%). The information made 11% feel overloaded and 34% feel anxious. Conclusion: Two-thirds of respondents had discussed life expectancy with at least one cancer care provider. Providers from the range of disciplines involved in cancer care need to be skilled at communicating life expectancy information and recognising the adverse impact this may have on some patients. © 2017 Royal Australasian College of Physicians. Background: The perceptions of those called on to make decisions on behalf of patients who lack capacity at the end of life must accurately reflect patient preferences. Aims: To establish the extent to which the views of medical oncology outpatients are understood by their support persons, specifically with regards to (i) preferred type and location of end-of-life care, (ii) preferred level of involvement in end-of-life decision-making and (iii) whether the patient has completed an advance care plan or appointed an enduring guardian. Methods: Adults with a confirmed cancer diagnosis and their nominated support persons were approached between September 2015 and January 2016 in the waiting room of an Australian tertiary referral clinic. Consenting participants completed a pen-and-paper survey. Nominated support persons answered the same questions from the patient¿s perspective. Results: In total, 208 participants (39% of eligible dyads) participated. Observed agreement across the five outcomes ranged from 54% to 84%. Kappa values for concordance between patient¿support person responses were fair to moderate (0.24¿0.47) for enduring guardian, decision-making, advance care plan and care location outcomes. A slight level of concordance (k = 0.15; 95% confidence interval: -0.02, 0.32) was found for the type of care outcome. Conclusion: Relying on support persons¿ views does not guarantee that patients¿ actual preferences will be followed. Strategies that make patient preferences known to healthcare providers and support persons while they still have the capacity to do so is a critical next step in improving quality cancer care. © JNCCN-Journal of the National Comprehensive Cancer Network. Objectives: This study surveyed a sample of medical oncology outpatients to determine (1) the proportion who have already discussed and documented their end-of-life (EOL) wishes; (2) when and with whom they would prefer to convey their EOL wishes; (3) the EOL issues they would want to discuss; and (4) the association between perceived cancer status and advance care planning (ACP) participation. Methods: Adult medical oncology outpatients were approached in the waiting room of an Australian tertiary treatment center. Consenting participants completed a pen-and-paper survey assessing participation in ACP, preferences for conveying EOL wishes, timing of EOL discussions, and EOL issues they want to be asked about. Results: A total of 203 patients returned the survey (47% of eligible). EOL discussions occurred more frequently with support persons (47%) than with doctors (7%). Only 14% had recorded their wishes, and 45% had appointed an enduring guardian. Those who perceived their cancer as incurable were more likely to have participated in ACP. If facing EOL, patients indicated that they would want family involved in discussions (85%), to be able to write down EOL wishes (82%), and to appoint enduring guardians (91%). Many (45%) preferred the first discussion to happen when their disease became incurable. Slightly less than one-third thought discussions regarding EOL should be patient-initiated. Most agreed doctors should ask about preferred decision-making involvement (92%), how important it is that pain is managed well (95%), and how important it is to remain conscious (82%). Fewer (55%) wanted to be asked about the importance of care extending life. Conclusions: Many patients would like to have discussions regarding EOL care with their doctor and involve their support persons in this process. Only a small percentage of respondents had discussed EOL care with their doctors, recorded their wishes, or appointed an enduring guardian. The first step requires clinicians to ask whether an individual patient wishes to discuss EOL issues, in what format, and at what level of detail. © 2018 Australian College of Midwives Background: Detection and management of antenatal risk factors is critical for quality care. Aims: To determine (1) women&apos;s views about when they should be asked about antenatal health factors as recommended in the Australian antenatal guidelines; and (2) the time required to provide recommended care using a clinical scenario. Methods: In Phase 1, pregnant women attending an outpatient obstetrics clinic at a public hospital were surveyed about preferred screening for antenatal risk factors during visit(s). In Phase 2, a hypothetical clinical scenario of a woman attending her first antenatal visit with a practising midwife was video-recorded to extrapolate the time taken to ask about and offer assistance to manage clinical, screening and lifestyle risk factors. Findings: Most women (96%) perceived they should be asked about each of the risk factors at least once (i.e. at first visit). Total time taken to ask about all risk factors was 52 min. More time was spent discussing clinical (11 min) than lifestyle factors (4 min). Adjusting for the estimated prevalence of each risk factor, the time taken to offer assistance was 8 min per woman. Average time required for detecting and offering assistance to manage risk factors is 60 min per average risk woman. Conclusion: Women are willing to be asked about risk factors; however this process is time-consuming. Strategies to streamline visits and prioritise recommendations so time-efficient yet comprehensive care can be delivered are needed, particularly when factors require monitoring over time and for those who may be ¿at-risk¿ for multiple factors. © 2018 JNCCN-Journal of the National Comprehensive Cancer Network. Background: Helping people achieve their preferred location of care is an important indicator of quality end-of-life (EOL) care. Using a sample of Australian medical oncology outpatients, this study examined (1) their preferred location of EOL care; (2) their perceived benefits and worries of receiving care in that location; (3) the percentage who had discussed preferences with their doctor and/or support person; and (4) whether they wanted their doctor to ask them where they wanted to die. Methods: Adults with a confirmed diagnosis of cancer were approached between September 2015 and January 2016 in the waiting room of an Australian oncology outpatient clinic. Consenting participants completed a home-based pen-and-paper survey indicating preferred location of care, perceived benefits and worries of that location, whether they had discussed preferences with their doctors, and whether they were willing to be asked about their preferences. Results: A total of 203 patients returned the survey (47% of those eligible). Less than half preferred to be cared for at home (47%), 34% preferred a hospice/palliative care unit, and 19% preferred the hospital. Common benefits and worries associated with locations included perceived burden on others, familiarity of environment, availability of expert medical care, symptom management, and likelihood of having wishes respected. More patients had discussed preferences with their support persons (41%) than doctors (7%). Most wanted a doctor to ask them about preferred location of care (87%) and thought it was important to die in the location of their choice (93%). Conclusions: Patients were willing to have clinicians to ask them where they wanted to die, although few had discussed their preferences with doctors. Although home was the most preferred location for many patients, the overall variation suggests that clinicians should adopt a systematic approach to eliciting patient preferences. © 2018 Australian College of Midwives Problem: Given the influence of diet on infant and maternal health outcomes, adequate knowledge about nutrition during pregnancy is critical. Aims: To examine among women receiving antenatal care the proportion who: (1) believe information about diet should be provided as part of routine antenatal care; (2) recall receiving advice about diet as part of care including: (a) when information was provided, (b) the healthcare provider who gave information, and (c) the format in which it was provided; and (3) attitudes towards information received. Methods: A cross-sectional survey was conducted with women attending a public antenatal clinic in New South Wales, Australia. Women were eligible to participate if they were: pregnant or had given birth in the previous 10 weeks; =18 years; and had at least one prior antenatal appointment for their current pregnancy. Findings: A total of 223 women (64% consent rate) participated. While the majority (86%) believed healthcare providers should be giving dietary information to pregnant women, only 63% recalled receiving information during their current pregnancy. Most often it was given by a midwife (76%). Information was initially provided in the first (52%) or second (38%) trimester, in both written and verbal form (60%). Approximately one third of participants felt overwhelmed or confused by which foods should be avoided during pregnancy. Conclusions: A third of women did not recall receiving advice about diet as part of routine antenatal care. There is a need to develop a pathway to provide women with reliable, comprehensive advice about diet early in pregnancy. © 2018 Elsevier Ltd Background: Nurses have a core role in facilitating discussions and enacting decisions about end-of-life issues for patients in hospitals. 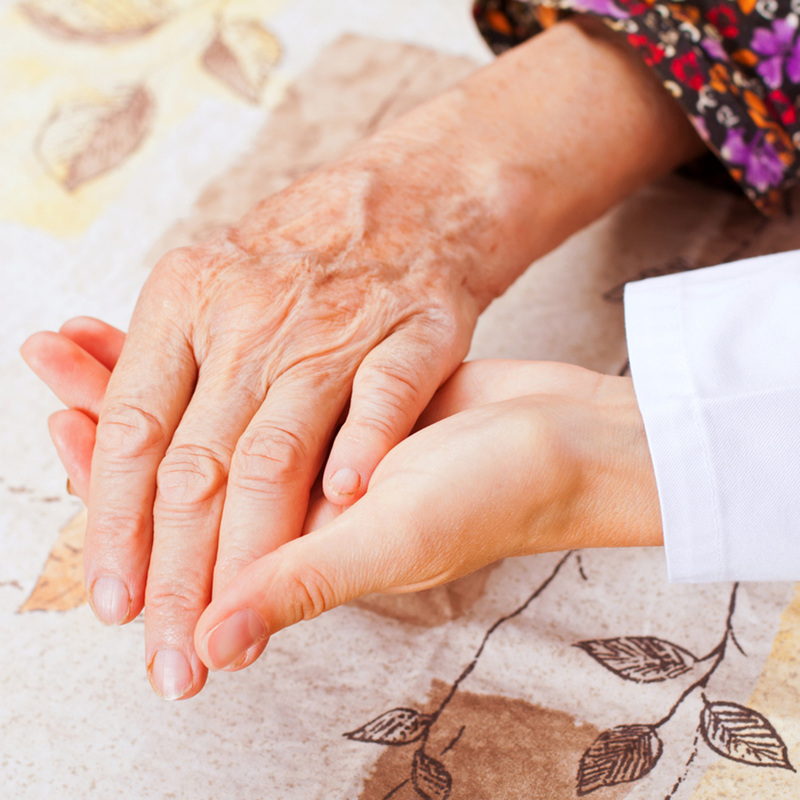 Nurses¿ own knowledge and attitudes may influence whether they engage in meaningful end-of-life conversations with patients. Aims: To determine in a sample of nurses working in acute and critical care hospital wards: 1) their knowledge of advance care planning, including the authority of substitute decision-makers and legal validity of advance directives; 2) their own participation in advance care planning decision-making practices; and 3) associations between nurses¿ socio-demographic characteristics; clinical expertise; and knowledge and behaviour in relation to advance care planning practices. Design: Questionnaire-based, cross-sectional study. Setting and participants: The study was conducted with 181 registered and enrolled nurses employed in acute and critical care wards of three metropolitan hospitals in Australia. Results: Nurses were least knowledgeable about items relating to the authority of medical (56%) and financial (42%) substitute decision-makers. Few nurses had prepared advance directives (10%) or appointed medical (23%) or financial (27%) decision-makers, when compared to discussing end-of-life wishes (53%) or organ donation (75%). Overall, 15% of nurses had not engaged in any advance care planning practices. Nurses who had cared for 11¿30 dying patients in the last six months were more likely to have an increased knowledge score. Older nurses were more likely to participate in a greater number of advance care planning practices and an increase in shifts worked per week led to a significant decrease in nurses¿ participation. Conclusion: Nurses have a key role in providing advice and engaging dying patients and their families in advance care planning practices. Nurses¿ own knowledge and rates of participation are low. Further education and support is needed to ensure that nurses have an accurate knowledge of advance care planning practices, including how, when and with whom wishes should be discussed and can be enacted. © 2018, Springer-Verlag GmbH Germany, part of Springer Nature. Objectives: To explore in a sample of medical oncology outpatients and their nominated support persons (SPs): (1) the relative influence of pain, consciousness and life extension on end-of-life choices using a discrete choice experiment (DCE); (2) the extent to which SPs can predict the choices of index patients and (3) whether having a previous end-of-life discussion was associated with dyad agreement. Methods: Adult medical oncology patients and their SPs were approached for consent to complete a survey containing a DCE. Participants chose between three unlabelled care scenarios characterised by three attributes: pain (mild, moderate or severe), consciousness (some, half or most of time) and extension of life (1, 2 or 3¿weeks). Respondents selected (1) most-preferred and (2) least-preferred scenarios within each question. SPs answered the same questions but from patient¿s perspective. Results: A total of 110 patients and 64 SPs responded overall (42 matched patient-SP dyads). For patients, pain was the most influential predictor of most- and least-preferred scenarios (z = 12.5 and z = 12.9). For SPs, pain was the only significant predictor of most and least-preferred scenarios (z = 9.7 and z = 11.5). Dyad agreement was greater for choices about least- (69%) compared to most-preferred scenarios (55%). Agreement was slightly higher for dyads reporting a previous EOL discussion (68 versus 48%; p = 0.065). Conclusion: Patients and SPs place significant value on avoiding severe pain when making end-of-life choices, over and above level of consciousness or life extension. People¿s views about end-of-life scenarios they most as well as least prefer should be sought. © 2017, Springer-Verlag GmbH Germany. Purpose: Cancer patients can be overwhelmed when being confronted with their diagnosis and treatment options. Such information is often provided during one consultation between the patient and treating clinician. In order to achieve optimal cancer care, there may be justification for alternative consultation styles. We assessed, in a sample of adult medical oncology patients, their preferences for (i) attending one 40-min consultation or two 20-min consultations and (ii) receiving written only or both written and online information, when making a cancer treatment decision. Methods: This was a cross-sectional survey using a discrete choice design of 159 adult medical oncology patients presenting for their second or subsequent outpatient consultation. Participants were presented with a set of hypothetical scenarios and asked to indicate their most and least preferred scenario. The scenarios contained a caveat explaining that there would be no difference between the available treatment options in terms of when treatment would be initiated and the impact it would have on patients¿ life expectancy. Results: One hundred forty-seven patients completed the DCE. Of these, 70% (n¿=¿103) preferred being provided with written and online information rather than just written information. This preference was statistically significant (p¿<¿0.01). Fifty-nine percent (n¿=¿86) of patients preferred two 20-min consultations over one 40-min consultation when making a treatment decision. Significantly, more patients preferred two shorter consultations rather than one longer consultation when this was combined with written and online information (p¿<¿0.01). Conclusion: When making a cancer treatment decision, clinicians should consider offering patients written and online information, combined with two shorter consultations. © 2018 The Author(s). Background: Advance personal planning is the process by which people consider, document and communicate their preferences for personal, financial and health matters in case they lose the ability to make decisions or express their wishes in the future. Discussion: Advance personal planning is most often undertaken by individuals who are seriously ill, often in the context of a medical crisis and/or at the time of admission to hospital. However, the clinical utility and legal validity of the planning process may be compromised in these circumstances. Patients may lack sufficient capacity to meaningfully engage in advance personal planning; there may be insufficient time to adequately reflect on and discuss wishes with key others; and there may also be limited opportunity for inter-professional input and collaboration in the process. Here, we propose an agenda for research to advance the science of advance personal planning by promoting a &apos;whole community&apos; approach. Adoption of advance personal planning at a community level may be achieved using a variety of strategies including public media campaigns, intervening with professionals across a range of health care and legal settings, and mobilising support from influential groups and local government. One potentially promising method for encouraging earlier adoption of advance personal planning among a broader population involves a community action approach, whereby multiple evidence-based strategies are integrated across multiple access points. Community action involves calling on community members, professionals, community and/or government organisations to work collaboratively to design and systematically implement intervention strategies with the aim of bringing about desired behaviour change. An example of a community action trial to improving uptake and quality of advance personal planning is described. Conclusion: While promising, there is a need for rigorous evidence to demonstrate whether a community action approach is effective in establishing whole community adoption of advance personal planning. © 2016 The Royal Australian and New Zealand College of Obstetricians and Gynaecologists Background: As a precaution against acquiring food-borne illnesses, guidelines recommend women avoid some foods during pregnancy. Aims: To examine among women receiving antenatal care: (i) level of knowledge and self-reported adherence to guidelines about foods that should be avoided during pregnancy; and (ii) associated socio-demographic characteristics. Methods: Women attending a public outpatient clinic who were: pregnant or had recently given birth; 18 years or older; able to complete an English language survey with minimal assistance; and had at least one prior antenatal appointment for their current pregnancy, were asked to complete a cross-sectional survey. Results: In total 223 women (64% consent rate) participated. Knowledge of foods to avoid during pregnancy was poor, with 83% of women incorrectly identifying at least one unsafe food as safe to consume. The average knowledge score for foods to avoid during pregnancy was 7.9 (standard deviation = 3.4; median = 9; interquartile range: 6¿11; n = 218) out of a possible score of 12. Having more general practice (GP) visits for antenatal care and fewer tertiary antenatal visits were significantly associated with higher knowledge. Women with a higher number of GP visits and those receiving care in a high-risk clinic were more likely to be adherent to guidelines. Conclusions: The majority of pregnant women have poor knowledge of food avoidance guidelines and continue to consume foods that put them at risk. © The Author(s) 2015. Background: Supporting people after bereavement is a priority area for many health services. Investment in bereavement care must be supported by a rigorous evidence-base. Aim: To examine the (1) relative proportion of descriptive, measurement and intervention research in grief counselling and (2) quality and effectiveness of intervention studies. Design: Systematic review of studies published in the area of grief counselling. Data sources: MEDLINE, Embase, Cochrane Library and PsycINFO databases were searched for studies published between 2000 and 2013. Eligible papers were categorised into descriptive, measurement, review, commentaries and intervention studies. Intervention studies were assessed against the Cochrane Effective Practice and Organisation of Care methodological criteria, and papers meeting criteria were assessed for quality. The impact of interventions on grief, psychological morbidity and quality of life was examined. Results: A total of 126 data-based papers, including 47 descriptive, 3 measurement and 76 grief counselling intervention studies were included. Only 59% (n = 45) of intervention studies met Effective Practice and Organisation of Care design criteria. Overall, study quality was poor, with the majority of interventions showing a risk of bias in several key areas. The three studies that met all criteria showed mixed effectiveness. Conclusion: Grief counselling interventions require a strong rationale for design, and a systematic approach to development and evaluation. Descriptive research efforts should inform this process, focusing on homogeneity in sample, identification of risk factors for complicated grief and the impact of extraneous factors on intervention effects. Interventions should include comparisons to usual care, as well as replication to confirm positive findings. © 2016 The Author. Published by Oxford University Press on behalf of the European Public Health Association. All rights reserved. The aim of this short report was to describe the output and citation rates of public health. Data-based publications and literature reviews from the year 2008, and their 5-year citation rates were extracted from 10 randomly selected public health journals. In total, 86.2% of publications were descriptive/epidemiological studies, 56.8% used cross-sectional (56.8%) designs and 77.8% were classified as research translation stage 2. Reviews and publications describing randomized controlled trials were the most highly cited, but were infrequently published. Strategies to address the discordance between public health research output and research citation may improve the impact of public health research. © 2015 American Academy of Hospice and Palliative Medicine. Context Identifying modifiable gaps in the symptom management pathway, as perceived by patients, is the first step to relieving patient suffering. Objectives The objective is to describe the proportion of patients experiencing treatable cancer-related symptoms who reported 1) a health care provider at the treatment center offered assistance for their symptom, 2) they accepted the assistance offered, and 3) the assistance relieved suffering. Variation in symptom management among treatment centers also was examined. Methods A survey was done with 528 medical oncology outpatients recruited from six treatment centers. Eight items explored management of prevalent, burdensome, and treatable cancer-related symptoms: pain, fatigue, other physical side effects, and emotional distress. Participants were asked about symptom management provided at the clinic from where they were recruited. Questions referred to the last occasion the patient experienced the symptom. Results Fewer patients were offered help to relieve fatigue (44%) and emotional distress (57%), than pain (90%) and other physical side effects (84%). In most cases, help was not offered as clinic staff were not aware of the patient&apos;s symptom. Although the vast majority of patients accepted the help that was offered, more patients accepted help for physical symptoms (pain, 97%; fatigue, 95%; and other side effects, 98%) than emotional symptoms (87%). When care was provided, most patients experienced at least a little relief from pain (99%), fatigue (94%), and emotional distress (96%). Symptom management did not vary significantly by treatment center (P = 0.073). Conclusion Quality improvement initiatives must focus primarily on improving providers&apos; awareness of their patients&apos; symptoms and ensuring that patients are subsequently offered help. Copyright © 2015 John Wiley & Sons, Ltd. Copyright © 2015 John Wiley & Sons, Ltd. Background Continued smoking following a cancer diagnosis has adverse impacts on cancer treatment and puts individuals at risk of secondary cancers. Data on the prevalence and correlates of smoking among cancer patients are critical for successfully targeting smoking cessation interventions. Aims To explore among a sample of medical oncology outpatients (a) the prevalence of self-reported current smoking and (b) the demographic and psychosocial factors associated with self-reported smoking. Methods A heterogeneous sample of cancer patients aged 18 years or over was recruited from 1 of 11 medical oncology treatment centres across Australia. Patients completed a survey assessing the following: smoking status; socio-demographic, disease and treatment characteristics; time since diagnosis; anxiety; and depression. Factors associated with self-reported smoking were examined using a univariate and multivariate mixed-effects logistic regression. Results A total of 1379 patients returned surveys and 1338 were included in the analysis. The prevalence of current smoking was 10.9% (n=146). After adjusting for treatment centre, patients aged 65 years and older and those without health concession cards were significantly less likely to smoke. Patients diagnosed with lung cancer and those without private health insurance were more likely to smoke. Discussion A minority of cancer patients reported continued smoking at an average time of 13 months post-diagnosis. Patients, who are younger, have been diagnosed with lung cancer and have lower socioeconomic status are at-risk groups and represent important targets for smoking cessation advice and intervention. © 2015 AMPCo Pty Ltd. Produced with Elsevier B.V. All rights reserved. Objectives: The study examined: 1) the proportion of patients who received their preferred level of information about life expectancy; and 2) sociodemographic, clinical and psychological factors associated with patients¿ perceptions of whether they received too little, too much, or the right amount of information about life expectancy. Design: Cross-sectional survey. Setting: Eleven large Australian medical oncology treatment centres. Participants: A total of 1431 medical oncology outpatients participated (81% consent rate). Eligible patients were approached between September 2012 and May 2014. Main outcome measures: Patients indicated whether the information about life expectancy they received aligned with their preferences. Results: Almost one in four patients (24%) received too little information, 4% received too much, and 50% received all the information they wanted; 22% of patients neither wanted nor received information about life expectancy. Patients were more likely to receive too little information if they were not in remission (odds ratio [OR], 1.77), did not know their cancer stage at diagnosis (OR, 3.64), or were anxious (OR, 1.48) or depressed (OR, 1.48). Patients had greater odds of receiving too much information if they were younger (OR, 1.45), had more advanced cancer (OR, 2.01) or did not know their cancer stage at diagnosis (OR, 4.42). Conclusions: That fact that 28% of cancer patients did not receive their desired level of information about life expectancy highlights the difficulties associated with discussing this sensitive topic. To ensure that life expectancy discussions correspond with patient preferences, clinicians should routinely ask patients whether they want to know this information, in what format, and at which level of detail. ©British Journal of General Practice. Background: GPs are often a patient&apos;s first point of contact with the health system. The increasing demands imposed on GPs may have an impact on the quality of care delivered. Patients are well placed to make judgements about aspects of care that need to be improved. Aim: To determine whether general practice patients perceive that the care they receive is &apos;patient-centred&apos; across eight domains of care, and to determine the association between sociodemographic, GP and practice characteristics, detection of preventive health risks, and receipt of patient-centred care. Design and setting: Cross-sectional survey of patients attending Australian general practice clinics. Method: Patients completed a touchscreen survey in the waiting room to rate the care received from their GP across eight domains of patient-centred care. Patients also completed the Patient Health Questionnaire (PHQ-9) and self-reported health risk factors. GPs completed a checklist for each patient asking about the presence of health risk factors. Results: In total1486 patients and 51 GPs participated. Overall, 83% of patients perceived that the care they received was patient-centred across all eight domains. Patients most frequently perceived the &apos;access to health care when needed&apos; domain as requiring improvement (8.3%). Not having private health insurance and attending a practice located in a disadvantaged area were significantly associated with perceived need for improvements in care (P<0.05). Conclusion: Patients in general practice report that accessibility is an aspect of care that could be improved. Further investigation of how indicators of lower socioeconomic status interact with the provision of patient-centred care and health outcomes is required. Modifiable health risk behaviors such as smoking, overweight and obesity, risky alcohol consumption, physical inactivity, and poor nutrition contribute to a substantial proportion of the world&apos;s morbidity and mortality burden. General practitioners (GPs) play a key role in identifying and managing modifiable health risk behaviors. However, these are often underdetected and undermanaged in the primary care setting. We describe the potential of eHealth to help patients and GPs to overcome some of the barriers to managing health risk behaviors. In particular, we discuss (1) the role of eHealth in facilitating routine collection of patient-reported data on lifestyle risk factors, and (2) the role of eHealth in improving clinical management of identified risk factors through provision of tailored feedback, point-of-care reminders, tailored educational materials, and referral to online self-management programs. Strategies to harness the capacity of the eHealth medium, including the use of dynamic features and tailoring to help end users engage with, understand, and apply information need to be considered and maximized. Finally, the potential challenges in implementing eHealth solutions in the primary care setting are discussed. In conclusion, there is significant potential for innovative eHealth solutions to make a contribution to improving preventive care in the primary care setting. However, attention to issues such as data security and designing eHealth interfaces that maximize engagement from end users will be important to moving this field forward. Purpose Undergoing chemotherapy and radiotherapy can be physically and psychologically stressful for people with cancer. Providing preparatory information to cancer patients as they face treatment and its aftermath has the potential to improve patient outcomes. This study assessed the methodological quality and effectiveness of interventions providing preparatory information about chemotherapy and/or radiotherapy to cancer patients in improving patient outcomes and health care use. Methods MEDLINE, EMBASE, and Cochrane databases were systematically searched from January 1995 until October 2012. Inclusion criteria: (1) met Effective Practice and Organisation of Care (EPOC) criteria for study design; (2) included adults with a current cancer diagnosis; (3) delivered preparatory information via a health care provider or was self-directed; (4) examined psychological well-being, quality of life, physical symptoms, satisfaction, knowledge, or health service utilisation. Studies were assessed for methodological quality using the EPOC criteria. Results Eighteen studies involving 3,443 cancer patients met inclusion criteria. Interventions included written information, audiotapes, videotapes, and computer programs. Interventions improved patient satisfaction (6/7 studies), information needs and patient knowledge (5/6 studies), physical symptoms (3/4 studies) and cost (1/1 study). More than half of the interventions improved psychological outcomes and quality of life (10/17 studies). Conclusion Providing preparatory information can improve patient-reported outcomes in cancer patients undergoing chemotherapy and radiotherapy, especially with respect to satisfaction and knowledge. Some, but not all, studies improved psychological outcomes and physical symptoms. There is a need for methodologically rigorous research to determine the most effective timing and method of delivery of preparatory information to improve patient outcomes. © 2014 Springer-Verlag Berlin Heidelberg. Patient-centred care is argued to be an essential component in the delivery of quality health and cancer care. This manuscript discusses the need to generate credible data which indicates the quality of patient-centred care provided by cancer treatment centres. Patient-centred care covers six domains including physical comfort; emotional support; respect for patients&apos; preferences and values; integration and coordination; involvement of family and friends; and the provision of information, communication and education to enable patients to understand and make informed decisions about their care. First, we identify priority areas within each domain. Next, we propose three questions that should be asked of every patient across the six domains of patient-centred care. The first question explores whether patients were specifically asked by a healthcare provider at the cancer treatment centre about their concerns, values and preferences. Research indicates that it cannot be assumed that clinicians are aware of patient&apos;s needs or preferences in these six areas. Second, if the answer from the patient suggests that they would like assistance, then it would be expected that this would be offered. Thirdly, if the patient indicates that they would like such assistance and it is provided, then it might be expected that the patient would report that the provided assistance did relieve their suffering, or the assistance provided was consistent with their preferences, needs and values. Regular measurement and reporting of these aspects of patient-centred cancer care has the potential to identify deficits and inequities in care delivery, allow for comparisons across treatment centres and stimulate an improvement in the patient-centred care provided to cancer patients. © 2014 Springer-Verlag. Prevention in the oncology setting has traditionally focused on the progression of cancer, recurrence and development of new cancers. Increasingly, the focus has moved to a more holistic view of prevention that pursues prevention of suffering and maintaining quality of life. The cancer treatment team has the opportunity to play an active role in the promotion of healthy lifestyles for patients, and the relatives for whom the patient&apos;s cancer conveys risk. Assisting patients to adhere to &apos;non-cancer&apos; care is important for their mortality and morbidity. Given patient&apos;s reluctance to disclose physical and emotional side-effects they may be experiencing, there is a need for health providers to regularly initiate discussions with their patients about their needs. Similarly, an oncology service that actively seeks to understand patient preferences will be better equipped to provide individualised care. A systems-minded approach to prevention may ensure that cancer care is organised to anticipate and to prevent of poor quality care. As the cancer treatment team will continue to play a more complex role in prevention, they must be supported by organisational factors that facilitate evidence-based practice. Objective. Previous work has addressed the development and diagnostic validity testing of tools for measuring cancer-related distress. Relatively little has been published on the implementation of these tools in clinical practice. We aimed to review the findings of randomized and non-randomized trials of the effect of distress screening to identify the effectiveness and acceptability of screening programmes. Methods. A search was made of the Embase/ Medline and Web of knowledge abstract databases from inception to May 2012. Our inclusion criterion was randomized and non- randomized controlled trials concerning the effect of screening for psychological distress on patient and clinician reported outcomes. We included studies on quality of life. Results. We identified 21 qualifying studies. Twelve were randomized trials and nine were non-randomized trials of the effect of screening for psychological distress. Six randomized trials assigned patients to receive screening or no screening, the remainder randomized patients to receive feedback or no feedback of screening results. Only 6 of the randomized reported benefits (five as a direct result of screening), although an additional 8 non-randomized studies showed partial benefits. Most benefits were seen in domains of communication, clinician behaviour and patient referral. Acceptability of screening was high during funded screening implementation studies but mixed when incorporated into routine clinical care. Conclusions. Screening for distress has the potential to influence communication, clinician behaviour and patient referral and to a lesser extent recognition of distress and unmet needs. Barriers to implementation success include low staff confidence, lack of training and support, low acceptability and failure to tie treatment to the screening results. Further work needs to be conducted on the value of screening when incorporated into routine clinical care and into the most appropriate methods for studying the implementation of screening in clinical practice.